From their upcoming concepts it looks like they are finally trying to revitalize their lineup and make it more appealing to newcomers. They've got fairly high margins on their bikes though, so they still have cash flow to both cover new products and payout investors. HD as we know it might not survive. A possible outcome is they either restructure or get acquired and succeed under that new management. At this rate I hope for the latter. I'm also a bit surprised that they still retain 50% of the market share, which explains why they have been hit so hard by these shifts in the market. It's good that they are catering to a younger demographic and first time buyers, with products like the Livewire, but I expect there will still be some hesitation on buying into such a new platform. I think they majority market share is based upon old sales figures, and I bet if you were to look at isolated numbers from just last year you would have much different findings. Now that we know pricing, its appeal to younger riders and first timers is certainly going to be limited. 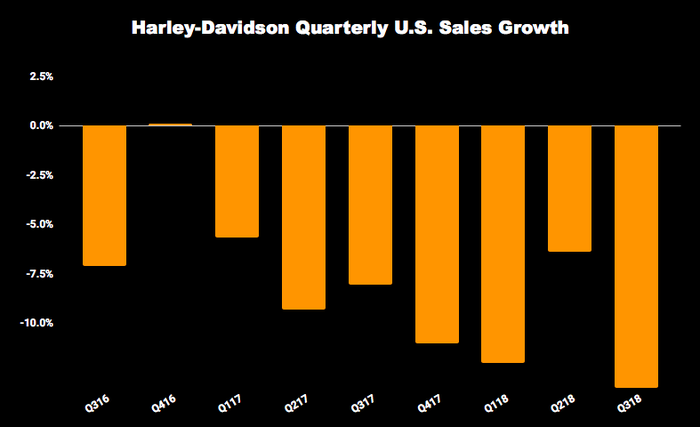 Harley has been losing customers for years, and the majority of their veteran fans will have little interest in something electric. I think they should look to adventure bikes as that class has been seeing a huge amount of interest lately. I remember seeing insanely positive sales from the accessories end but once electric bikes are in full swing the need for accessories will go down. Buying culture is shifting, many Harley riders as we've known them are checking out now that they're senior citizens. 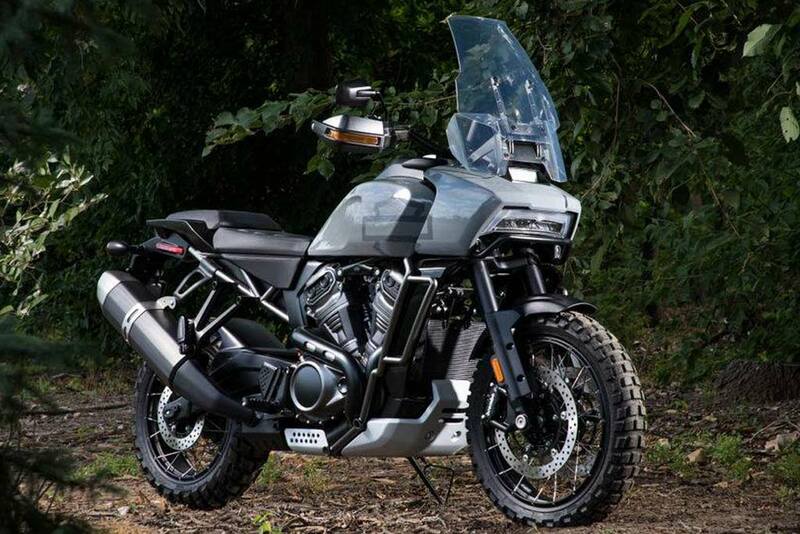 Harley has already showcased a few adventure concepts that they hope to bring to market. For now its just called the Pan America, but its a big departure from their traditional styling. Until they can start getting some new buyers, I don't know how much working capital they have to play with for buying into other brands. They should be cutting out unsuccessful models all together until they regain their footing.